Watching at the Altar of Repose until 10.00pm. Stations of the Cross at 9.30am. Celebration of the Lord’s Passion at 3.00pm. Saturday Holy Saturday The Blessing of Food at 11.00am. The Easter Vigil at 7.30pm. 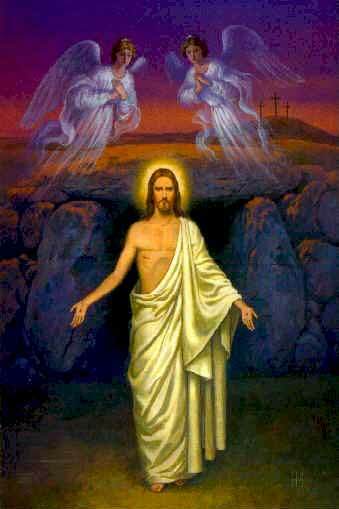 Sunday The Resurrection of the Lord - Easter Sunday Mass at 8.30am. Latest News & Events Now Updated - Click here for details. There is a clipboard at the end of the church for 12 volunteers to sign up for the washing of the Feet at the Evening Mass of the Lord’s Supper at 7.30pm on Thursday 18th April. Will take place on Holy Saturday morning, 20th April, at 11.00am. Lenten Penitential Service & Confessions at 7.30pm. Each Sunday during Lent, starting at 4.00pm. Last Autumn’s successful “Life to the Full” series of engaging DVDs, plus delicious cake, is being repeated, this time at St Joseph’s RG14 1JP on Monday evenings, April 29th to June 3rd. Full details soon. No need to come every week. Everybody welcome! Offers of help welcome, please talk to Angela Jordan or Mike Parry. Easter cards will be on sale in the Hall after the Sunday 11.00 Masses on Sunday 24th, 31st March and the 7th April 2019.
, Palm Sunday 14th April, 26th May and 16th June. Praying the Rosary: The Rosary will be prayed after the 10.00am. Mass on the first Friday of each month. Everyone welcome. A SHORT GUIDE TO A S UCCESSFUL LIFE. Take time to dream – it is hitching your wagon to a star. Take time to love and be loved – it is the privilege of the gods. Take time to look around you – it is too short a day to be selfish. 1] Make peace with your past, so it won’t mess up the present. 2] What others think of you is none of your business. 3] Time heals almost everything, give it time. 4] Don’t compare your life to others and don’t judge them. You have no idea what their journey is all about. 5] Stop thinking too much, it’s alright not to know the answers. They will come to you when you least expect it. 6] No one is in charge of your happiness, except you. 7] Smile. You do not own all the problems in the world. What Is The Parish 300 Club? It is simply a lottery which all parishioners are invited to join. All proceeds go towards paying for the maintenance of our church. For example recently the lottery helped us to pay for a new boiler. This year we really need to redecorate the Church, and with the help of lottery funds we hope to make a start this autumn. As from Sunday 18th June tickets will be on sale after both Masses each Sunday during June and early July. Tickets will cost £15 each - with each ticket giving the buyer the chance to win £100 or £50 or £25 each month for a year. It is our way of helping to look after the Church we love and in which we worship and celebrate together. So come on, give it a go and buy a ticket for the 300 Club. And it is a distraction to all those attempting to pray. The Sunday Masses are at 8.30am. and 11.00am.. Recently, an increasing number of people are arriving late for Mass. “So you had not the strength to stay awake with me for one hour? Stay awake and pray not to be put to the test”. [Matthew 26:40 – 41]. Click here to pay a visit to the new site. Exposition of the Blessed Sacrament and Prayer. and each Monday after that. news, and information from around the Diocese. add your email address to receive these updates. all the latest info as it happens. and have bought tickets for the future. The 1st draw will take place for the coming year in September. All the tickets have now been sold. Thank you all very much indeed. West Berkshire Food Bank Service and how you can help. a grand total of 580.8kg of food to West Berks Food Bank. Please pass on thanks for your support. It is very much appreciated and you have helped to feed over 1900 people. Current shortages are shampoo, deodorant plus the normal food items. Click here to read about it's success and developments. Is there anything you would like to see on the website in 2015? If so email anne-thompson@stjosephsnewbury.org.uk with your ideas.